Silhouette Ring – Love Letter ($35, Le Papier Studio): I’m so excited to have found this beautiful site where I can revisit the art of the silhouette. My mom had a bunch of these made when I was in college and they were so lovely. 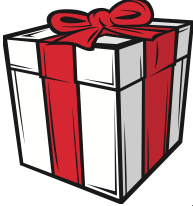 This gift would make a fantastic mother’s ring and I love their other products like stationery, home decor and other types of jewelry. My Customized Yoga Mat – (starting at $40, MyCustomYogaMat.com): Never mix-up your mat in class again. MyCustomYogaMat.com lets you pick your mat and thread color and select from an assortment of styles to monogram your mat and bag so you can “Om” in style. 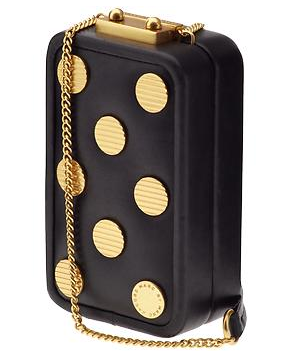 Marc by Marc Jacobs iPhone in a Box ($258, Piperlime): A chic and styling case for your phone that will also hold other teeny tiny necessities. Mirrored Stackable Jewelry Box ($69, PBTeen): I actually want an entire mirrored vanity, but this will do as a start…and I really do need a jewelry box. 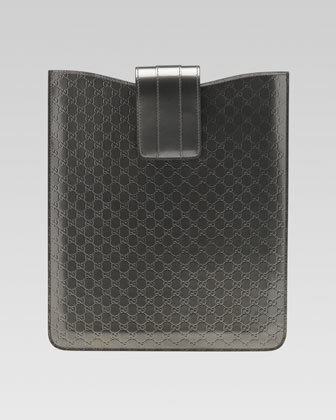 Gucci iPad Case, Gunmetal ($305, Neiman Marcus): I’ve been circling this case since the spring of 2011. The irony is if I added up all the dollars I’ve spent on cases in the last 18 months, I probably could have purchased this one. It’s amazing. Personalized Louis Vuitton Neverfull (Price depends on customization and bag size, LouisVuitton.com): These personalization options make me so glad I haven’t indulged in a Neverfull before. Burberry London, Single-Breasted Poplin Trenchcoat ($1,095, Neiman Marcus): The Rolls Royce of trenches. It’s time. The biggie: A diamond and ruby bezel eternity band.